BOCA RATON, Fla. (CNS) — When an individual, a family, a group or a church wants to pack a small box of Christmas joy for a needy child, “we tell them ‘welcome to the world of joy,’ because everyone who gives joy receives joy in return,” said the president of Cross Catholic Outreach in Boca Raton. Jim Cavnar spoke about the agency’s “Box of Joy” program, now in its fifth year, in a Q-and-A provided to news media. Those who get involved in the program choose a recipient by age (from 2-14) and by gender, and then pack small items for that child in a shoebox-size box. Items can include small toys like dolls and race cars, essentials like soap, pencils, toothpaste and toothbrushes, as well as a few treats like hard candy and coloring books. Participants include $9 in each box to cover $7 shipping and $2 to support the ministries of those working with the children, who are in Haiti, Guatemala, Nicaragua, Dominican Republic and, as of this year, El Salvador. Cross Catholic Outreach provides suggestions for items to buy at the website http://www.crosscatholic.org/boxofjoy. The site also has information about the nearest drop-off center for participants. If people get involved as a group, someone is designated as project leader and that person provides drop-off/collection details to group members. The “Box of Joy” week for dropping off the boxes is Nov. 3-11 this year. Cross Catholic Outreach then delivers the boxes to the children. The site also offers a Create-A-Box-Online option for those who want to participate but don’t have time to go shopping. By clicking on that option, they can ask that a box be packed and shipped to a child on their behalf. The pilot “Box of Joy” program in 2014 began with just a handful of parishes and schools in two U.S. dioceses that provided Christmas boxes to children in Guatemala, Cavnar said. This year, close to 520 parishes in dioceses across the country are participating. 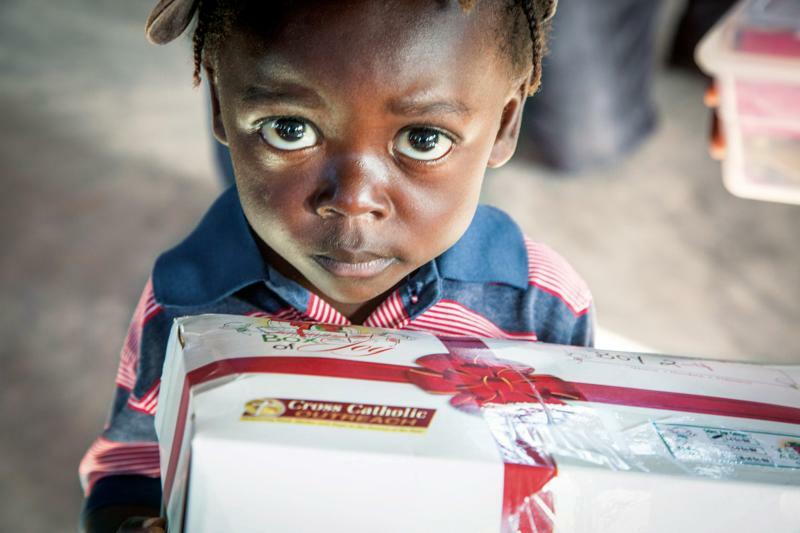 “By sending a box of small gifts, it is a good reminder of the strangers who gave our baby Jesus gifts at his birth, who wanted to love him the best they could and gave what they had for his enjoyment,” he added. St Pius in Broomall was proud to participate in this program this year.